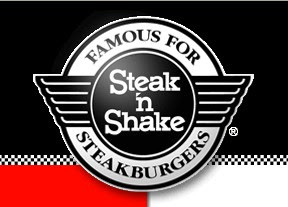 Atlanta area Steak n Shakes are celebrating their 75 Anniversary and are rolling back prices! Today, from 8 a.m. and 11 a.m., Atlanta-area outlets will sell the single Steakburger for 15 cents, the cost in 1934. Then until March 29, a single Steakburgers will be 75 cents all day, every day. And don't forget about Happy Hour - every day from 2PM to 4 PM - all drinks and milkshakes are Half Price. For those of us lucky enough to have a QuickTrip nearby, we know how great their non-gas items are - I especially love to get a coffee inside on these cold Atlanta days. Join the QT Web Group here and get some online coupons and discounts on merchandise. I just joined up today and am looking forward to my free printable coupon for a free Oscar Mayer hot dog and a 32-ounce fountain drink. Click HERE to cut your grocery bill in HALF! 30 days FREE! Save BIG on a Disney Cruise with Get Away Today! Hi and welcome. I am a SAHM mom to a busy 3 ½ year old daughter and our doggie, Winston. Using Dave Ramsey’s program, my husband and I have paid off our debt, built up our emergency fund and are working to pay off our house. Through this success we have gone on to help others find their way out of financial distress and help families build budgets and control spending.